The number of people using mobile devices to browse the Internet has increased astronomically over the last few years. The platform has now become an important website design issue for all online businesses. If you do not have a mobile optimised site, then you are losing out on a significant number of customers who hardly use their laptops and computers for Internet purchases. Most items are purchased when people are on the go, and that is why mobile sites are becoming a fad. For your business to stay relevant, get a mobile-optimised website now, and continue generating healthy profits. With the advent of mobile sites, some terms have come up which confuse business owners. They do not know the difference between an optimised site, a responsive site and a mobile friendly site. It is good that you know what mobile SEO is. Mobile SEO is the practice of optimising a website for mobile display, in a manner that will allow it to reformat itself for handheld devices. The reformatted content will include optimised images, larger navigation buttons and easy to read the text. When proper mobile SEO is done, the site will look different on various devices. It will not look the same on an iPhone and a Samsung, since they may have different screen sizes. The site will, however, display content in a manner that allows for easier interaction on the smaller mobile screens. Key buying decisions are sometimes made at the store, and having a site that is optimised even for faster checkouts is crucial for your business. Mobile SEO includes having mobile wallets as part of your checkout process. This is an issue that shares a very grey border with Mobile SEO. Mobile optimisation refers to the building blocks of a mobile website, whereas SEO relates to the use of keywords and other content to keep your site at the top of search engine results. Mobile optimisation deals with the image sizes that you use, the fact that Flash is not supported on many mobile phones, meaning that all content should steer away from flash, and many other design basics of the site. 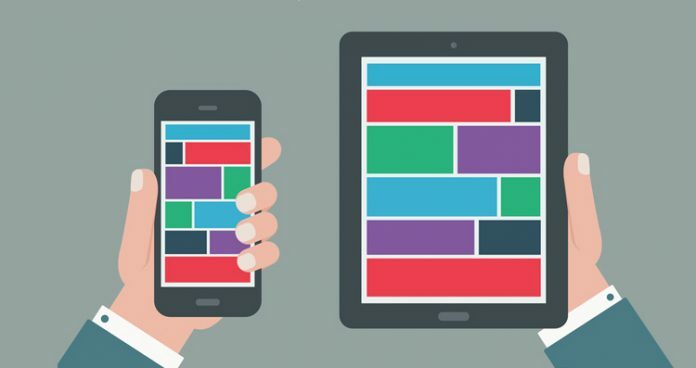 A mobile optimised website has different building blocks from the computer version. However, a responsive design will just display the same content, but fluidly to fit the size of your mobile device screen. A responsive design may move images above text instead of keeping them side-by-side as they appear on a laptop. A mobile optimised site will be specifically designed for mobile browsing. A responsive design may not always render correctly on all mobile devices, and some images may end up being cropped. A mobile optimised site will render all text and images correctly. A responsive design may take a long while to load since it will be using elements from the desktop version. A mobile optimised site will load instantaneously. A responsive design may need you to zoom in on some elements. A mobile optimised site will have all items displayed on the screen. This is the next frontier in the SEO battles defined by Google’s search engine algorithms. Google has to stay abreast of the needs of Internet users. Today, more people are surfing the Internet using their mobile devices, and Google is responding to this need by coming up with updates targeted at mobile browsing. The Mobile-First Google Index is causing a stir among search engine optimisers and web designers. In the past, Google spiders crawled through desktop web pages and then treated the mobile pages as secondary. Now, this has been turned on its head, and the mobile pages are now being treated as primary and the desktop versions as secondary. Google had in the past rewarded websites that had mobile-friendly versions and it promises to keep the trend even with the rolling out of the Mobile-First Index. So what does the Mobile-First Index signify? If your desktop version and your mobile version do not have significant differences, your rankings may remain the same as they were before. But if the two are significantly different, then the mobile version will be ranked above the desktop version. The fact that people are using their mobile phones for browsing is now a priority for Google. They are looking at rolling out features that will be exclusive to mobile devices. Accelerated Mobile Pages will ensure that content loads on the phone instantaneously, making browsing on mobile phones faster than browsing on desktop devices. The mobile Internet is slowly changing the scope of website design. Looking at most templates being sold on the Internet, most will state that they are responsive. Websites that do not work on mobile phones may soon be declared obsolete. There may even be a push to bring about desktop browsers that will have mobile-sized displays on the screens. If you do not have a mobile website, then it is high time that you started creating one. You may start off by getting a website that is responsive for now, but you need to get one that is completely optimised for mobile phones. This may mean having two different websites, carrying similar products and services, but with varying content. The mobile site can have less text, and more of images and videos, while the main site can have more text on it. The primary checkout systems are creating mobile-friendly channels that allow for easy payments on mobile devices without any major changes in your website design – this is a relief for most business owners. Get your site optimised today and benefit from increased sales from customers who prefer shopping on their handheld devices.